Coffee combines two of our favorite things- craft & community. We take our craft very seriously and are dedicated to the discipline it takes to be involved in the specialty coffee trade. It is our company’s passion and our barista’s obsession to continually make quality the highest priority. However, we understand once you start talking about coffee, you can take a hard right into the land of “coffee science.” It is by no means our goal to be elitist. Please don’t let our passion scare you. We welcome all. 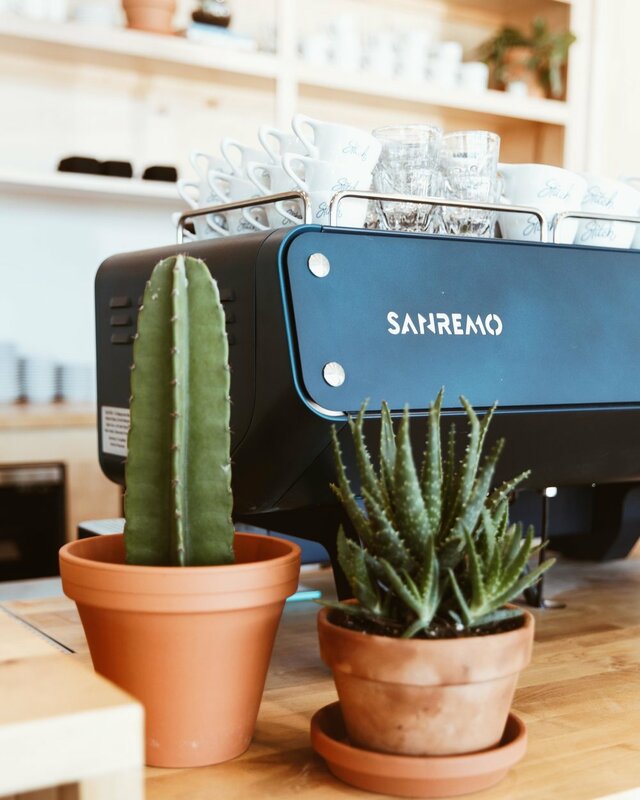 In the end, we'd like to think that our freakish-obsession over this plant will bind us together, because who doesn’t want a delicious cup of coffee. We get our coffee from passionate people, Merit Coffee Co., who ethically and intentionally source and roast.